So cute! 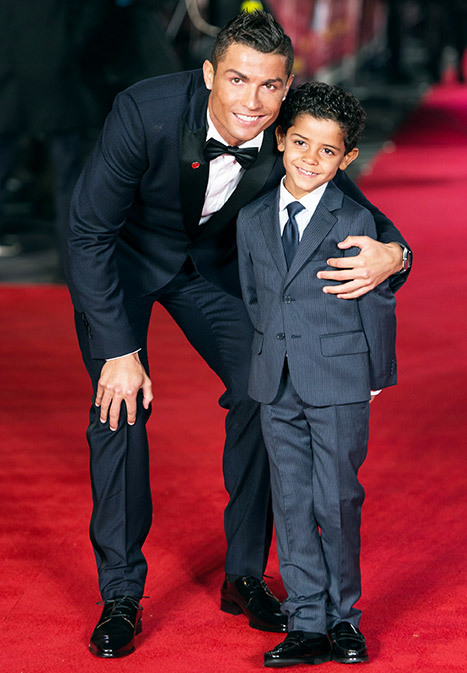 Proud dad Cristiano Ronaldo brought his adorable look-alike son, Cristiano Jr., to the world premiere of Ronaldo in London, on Monday, Nov. 9, and posed together with his 5-year-old son on the red carpet. For their glamorous appearance, the international superstar and his son dressed up in dapper, tailored tuxes, complete with shiny shoes, ties, and crisp white oxford shirts. Little Cristiano bears a striking resemblance to his handsome dad, sharing the same oval-shaped eyes, boyish grin, sculpted cheekbones, and bronze glow. 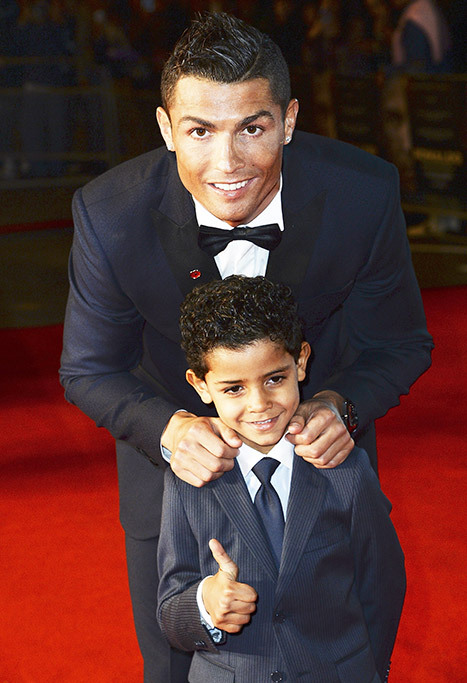 The now-legendary soccer stud, 30, welcomed his son in 2010, while he was still dating supermodel Irina Shayk. However, Shayk wasn’t pregnant during the time, and the Real Madrid star has never revealed the mother’s identity.